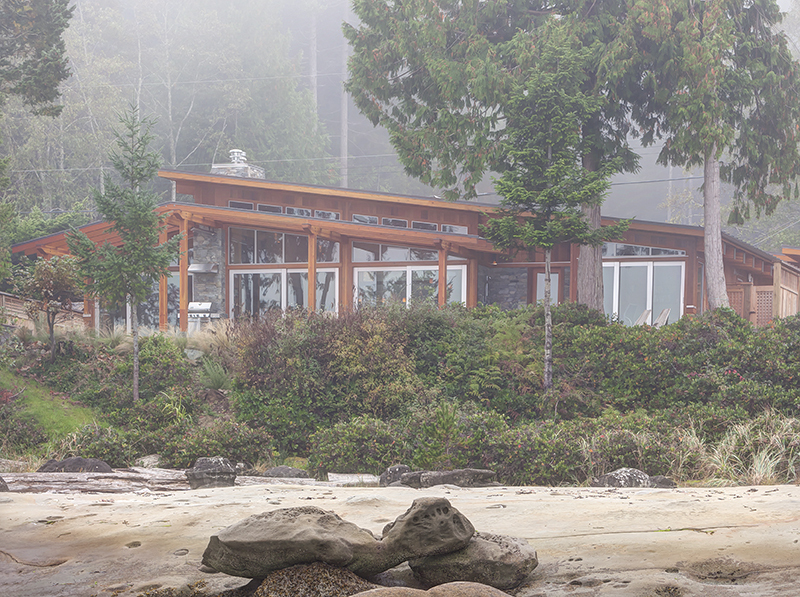 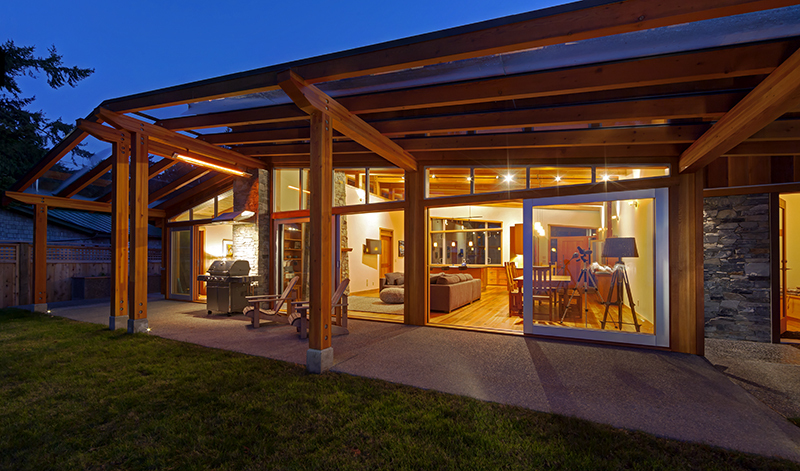 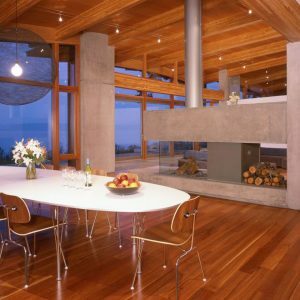 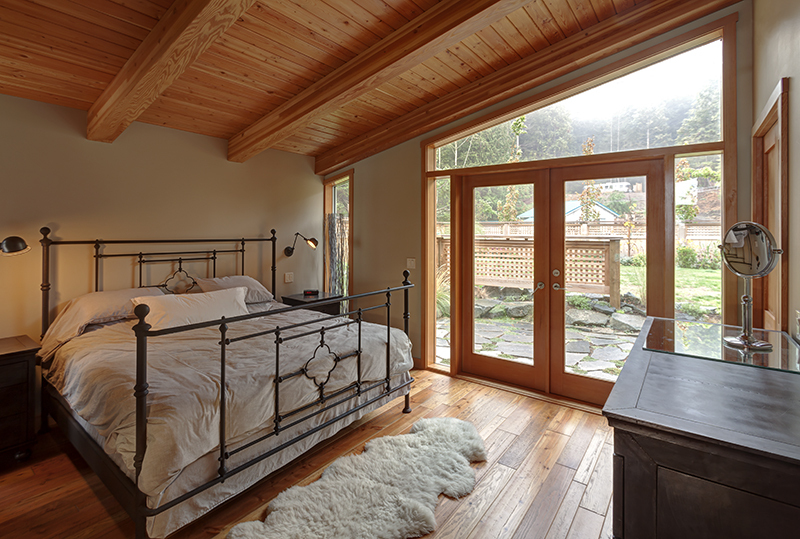 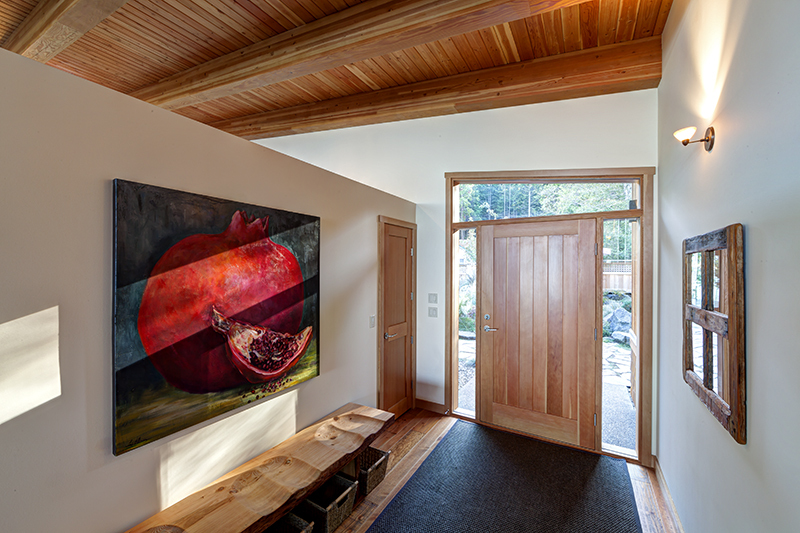 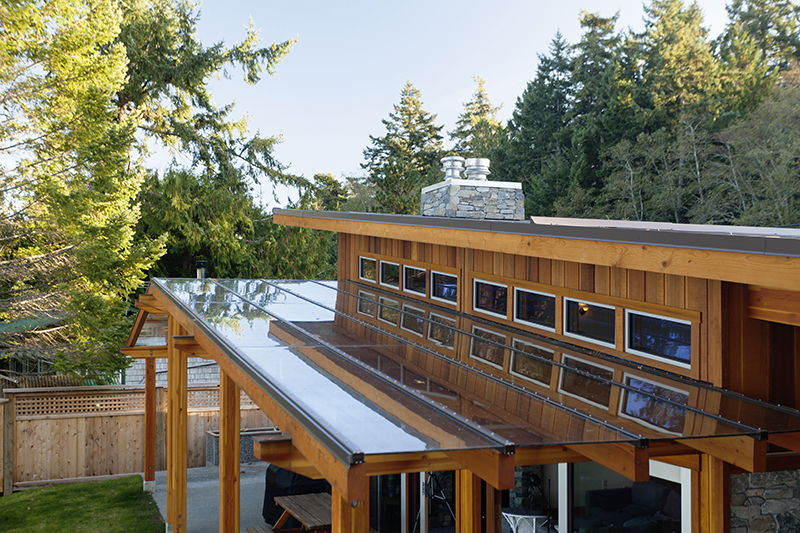 A new family home on Hornby Island brings the outside in. 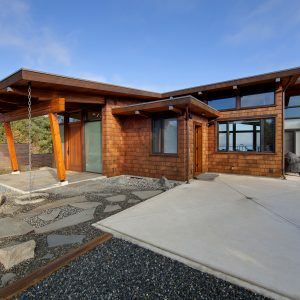 Situated on beach front, overlooking Georgia Straight and the Coastal Mountains, Clarity House boasts spectacular views in every direction. 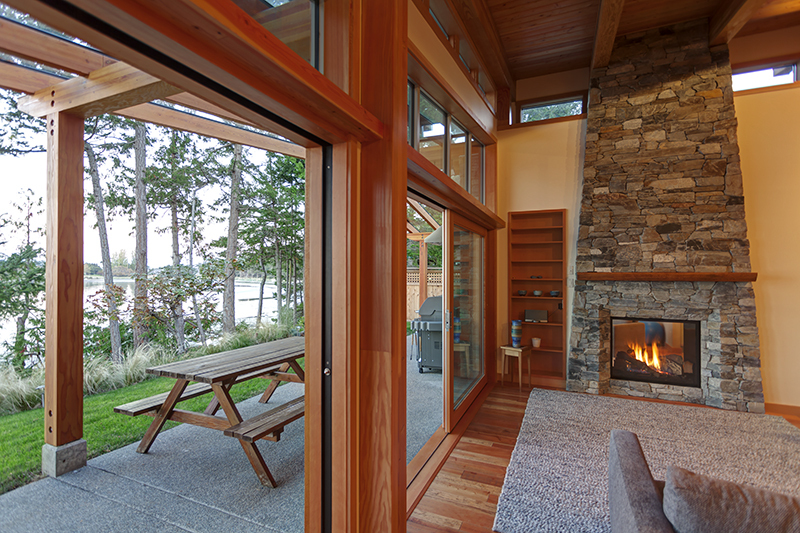 Oversized sliding doors and an exterior glass canopy seamlessly blend the interior with a year-round outside patio. 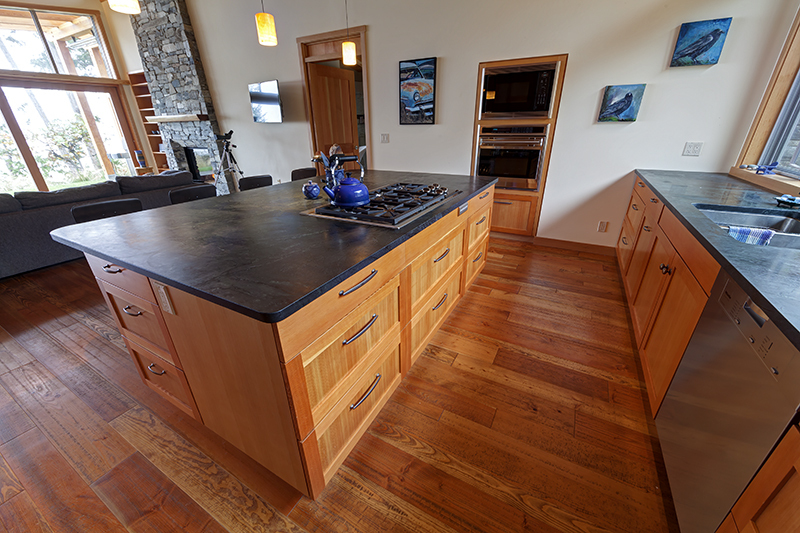 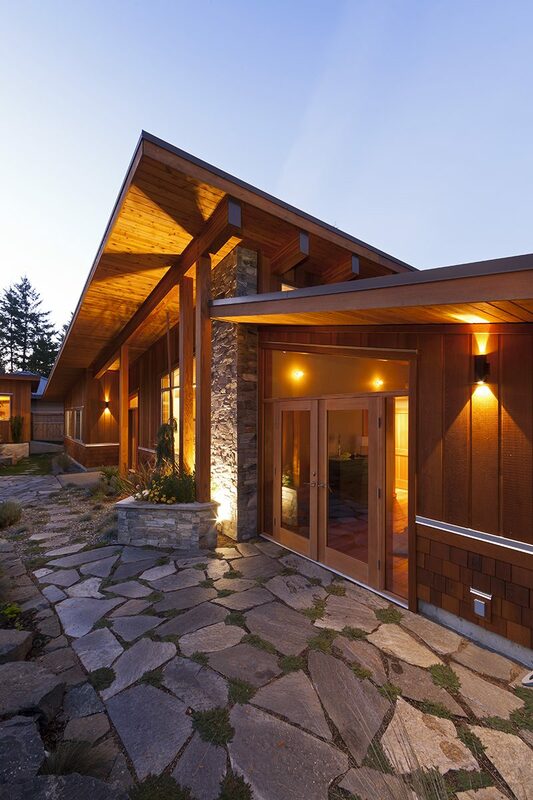 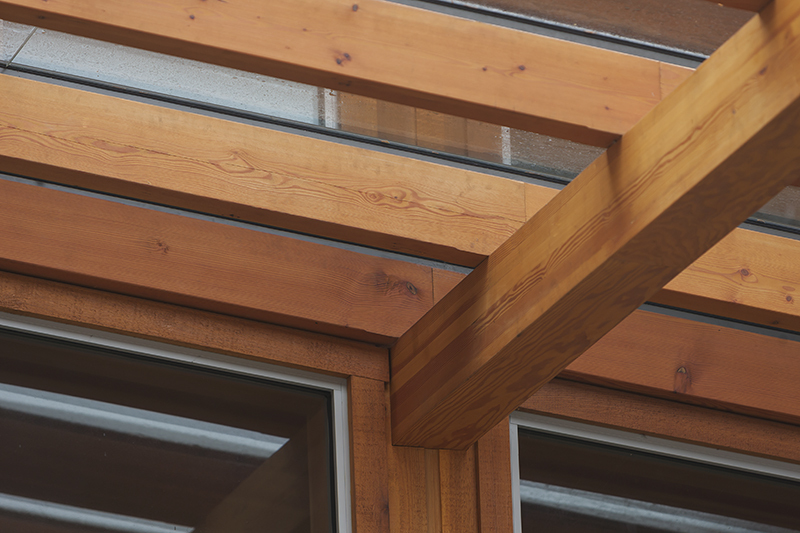 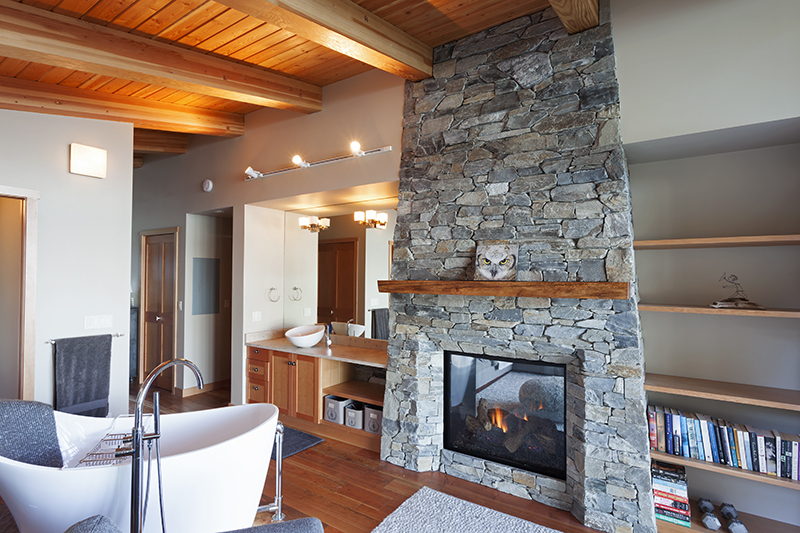 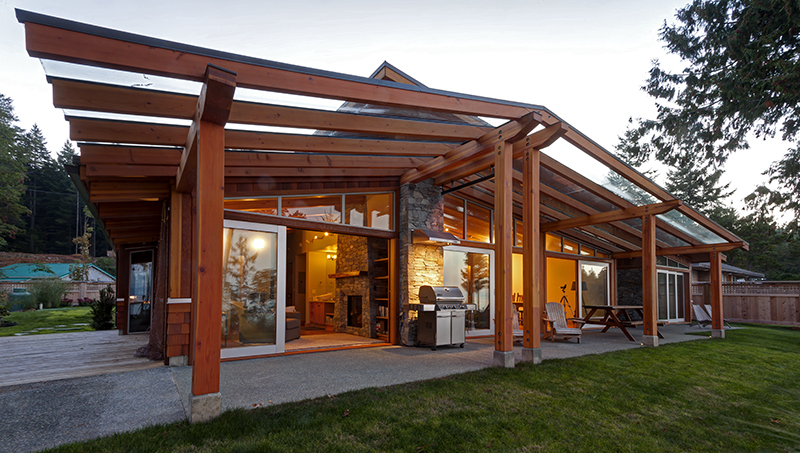 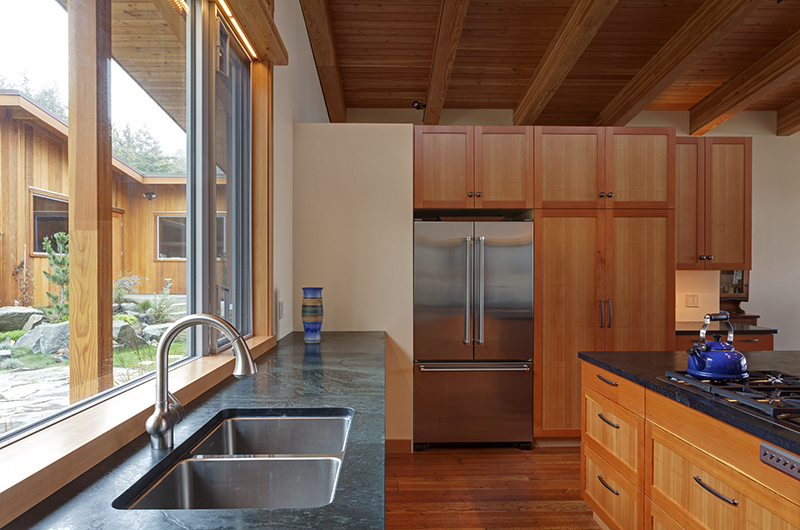 Exterior materials of cedar, hand-cut patio stone and exposed beams continue to the interior. 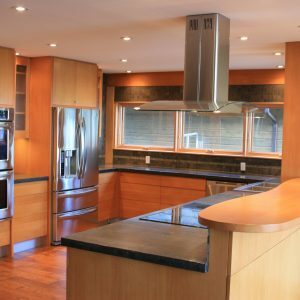 AFC’s high attention to detail is evident throughout the home, including custom wood kitchen millwork and clear-stained fir doors and trim. 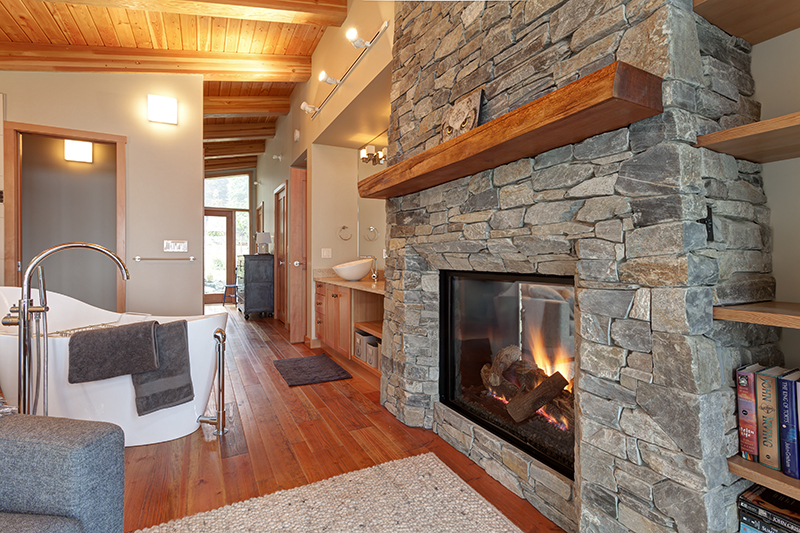 The single-story open concept floor plan boasts two handcrafted fireplaces, exposed ceiling beams and heated oak flooring. 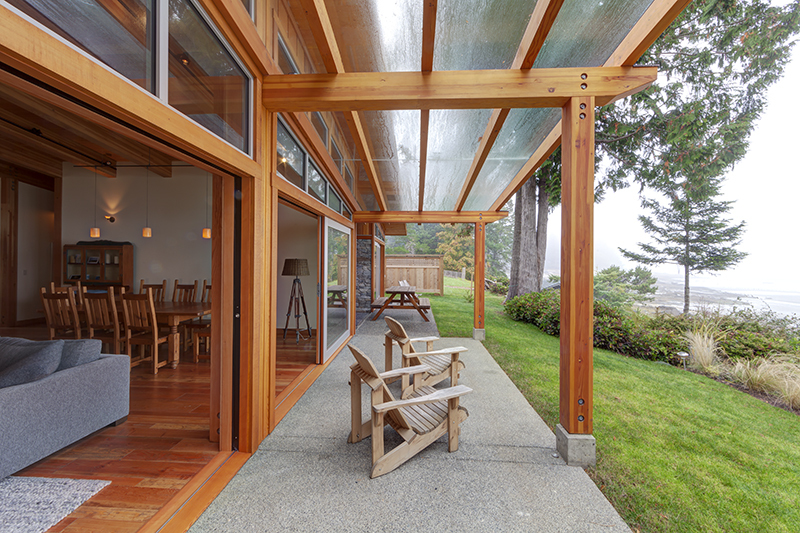 Light fills the space from extensive glazing and over-height ceilings. 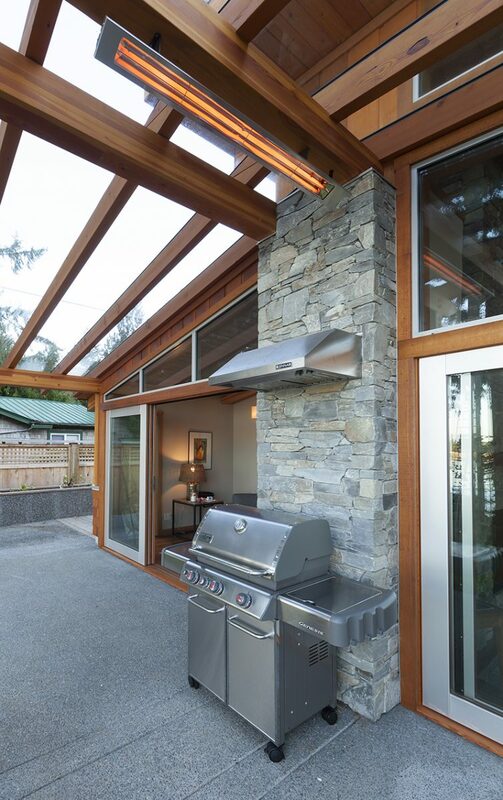 An existing garage was refurbished with new cladding and metal roof to match the house. 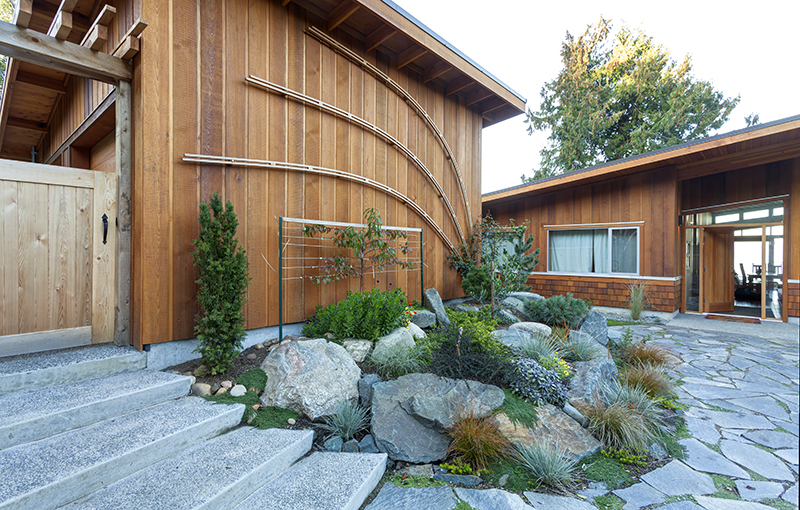 Custom cedar fencing, drought resistant vegetation, flagstone pathways and exposed aggregate stairs and patios define the outdoor spaces.